on the Maryland and Virginia sides of the Chesepeake bay. In the cover picture for the film, there are several Confederate “raiders” pictured. The center man with the brimmed cowboy style hat looks to me like Marcellus Jerome Clark, aka “Sue Mundy” . I could not find where these gentlemen are identified. Is there a list? I am looking for a Samuel Beale (Beall) of Kentucky, who might be the man on the left of “Sue Mundy” in this picture; at least he sure looks like me if I was a guy, that is!!! Interesting affair, that one. Ulric Dahlgren was only 21, a bit young to be a Colonel. There is still a LOT of debate whether Lincoln or any other higher ups knew what Dahlgren and Kilpatrick were up to that spring. I take it by your “tyrant” comment that you think Dahlgren raced out on his mission at the personal behest of Ol Abe. By chance, you wouldn’t still be fighting the Civil War, would you? This article if more partisan biased South Hatred and distortion of our history. Capt. Beall was a Confederate Soldier and should have been given all the rights of a military captured in War Conflict. Capt. Beall had many supporters in the North, in Washington, and in Maryland, but the tyrant Lincoln decided not to do the right thing! If espionage and guerilla missions during war are considered as reasons for hanging then why is DAHLBERG who tried to burn Richmond down and murder Jefferson Davis such a big hero to the yankees. The reason that there is a “strange tradition” that some Civil War historians think that Booth may have murdered Lincoln as revenge for Beall’s execution is that may well be true, in part, anyway. . Beall was involved with John Surratt and John Wilkes Booth as a Southern operative based in Canada The paymaster for Confederate Spy and guerilla operations was Brig Gen Edwin Gray Lee. Lee was the nephew of Robert E Lee. Lee was a very able military commander who fought effectively in many battles in the Shenandoah Valley in Virginia as aide to General Stonewall Jackson. EG Lee was one of the most trusted and competent Generals in Virginia. With the war going badly for the Confederacy, Lee ran the blockade and went to Montreal on an intelligence mission in December of ’64. Lee and other Southern operatives engineered a plot to kidnap Lincoln from this Northern outpost in Canada. Lee paid the money for the operation to John Surratt. Surratt met with Booth and gave him funds to accomplish the kidnap mission. 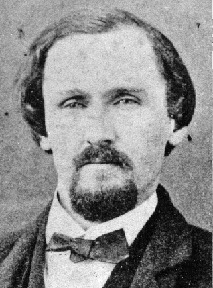 Beall was hung on Feb 24, 1865. When the war ended, the many of the same operatives Booth hired to kidnap Lincoln participated in the plot to kill him. Lincoln had steadfastly refused to pardon Beall for his espionage and guerilla missions. Was part of Booth’s motive revenge for Beall’s execution? Quite possibly it did play a part in Booth’s desire to see Lincoln dead. Lee remained in Canada after the war ended until ’66, when he got assurances that the coast was clear.